Above: Willliam Smith O’Brien in 1848, aged 45. By then he had moved from the error, failure and temptation of his youth towards a reputation for self-sacrifice, integrity and patriotism. 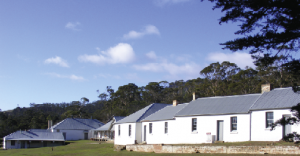 A year after the failure of his July 1848 rebellion in Tipperary, William Smith O’Brien found himself in a small cottage, isolated from other convicts, on Maria Island, Van Diemen’s Land. He now had the leisure to write a long-postponed autobiography, which has recently been discovered. Proud of his descent from the great Brian Boru but critical of ancestors who had traded independence for English titles, William (b. 1803) reminisced about his father, Sir Edward O’Brien, Bt., of Dromoland Castle, Co. Clare, and his mother, Lady Charlotte, who inherited from her father, William Smith, his Cahirmoyle estate in County Limerick. While Sir Edward’s eldest son, Lucius, was heir to Dromoland and the title, Cahirmoyle was entailed on William, the second son, who unofficially added ‘Smith’ to his name. Sir Edward believed that William should earn his own living, but the latter wanted an allowance until he took over Cahirmoyle. Another ambiguity concerned religion. Sir Edward opposed the 1800 Act of Union and consistently supported Catholic claims in parliament. But Lady O’Brien was a strong evangelical and proselytising Protestant who taught her son that the pope was Antichrist and that Catholics must be converted to Protestantism. William passed through an intense evangelical phase before discovering that many Catholics were more devout and good-living than the extreme Protestants who condemned them. At the age of eight William was sent to school in England. Until he went up to Trinity College, Cambridge, in 1821, he returned to Clare only for Christmas holidays. From a private school at Willing, Sussex, William moved on to Harrow. Although above average in ability, he was disgusted by the fagging system, which made young boys the virtual slaves of their elders. The demands of older boys interfered with schoolwork and could earn the unfortunate fag a thrashing from his teacher. Harrow failed to develop any personal interest in learning. Saved from Harrow by Sir Edward’s economising family move to Orleans, William found his French tutors more stimulating than Harrow. But soon he was back to private schools in England, attending in succession the evangelical establishments of the Revds Scott and Bradley. William now reached a high pitch of religious enthusiasm . . . but it had evaporated by the time he entered Trinity College at the age of seventeen. William, with a flair for the classics, worked hard for his first examination, obtaining a first-class pass. In his second year, however, seduced by sociability, cards and port wine, he staggered back to his rooms in the early morning. He also refused to attend chapel, incurring a series of punishments. But he enjoyed the penalty of memorising Greek poetry and transcribing Euclid’s theorems, and continued to boycott chapel. Rustication was only avoided by the end of term and the good offices of his tutor, a brilliant mathematician. Unable to obtain first-class honours in the next examination, William, to avoid appearing second-rate, deliberately muffed his second test. Refusing to answer easy questions, he dropped to seventh grade. His parents were not amused. They retained him at Dromoland for the next year. There William read more generally in Sir Edward’s well-stocked library and diverted himself by visiting local landowners, whose imbibing of port emulated Trinity College undergraduates. Although he claims that he was always an Irish nationalist, William probably now had more opportunity to contemplate Ireland and its culture than he had at school or university in England. Returning to Cambridge, with high honours impossible, William tackled the great questions of existence without giving up his social opportunities. He eventually concluded that as religion could not be proved by reason alone he should adhere to traditional belief. For the rest of his life O’Brien maintained a middle-of-the-road tolerant Anglicanism. Sir Edward hoped that his son would earn his living as a barrister. For a time William obediently ‘masticated his dinners’ at Lincoln’s Inn, London, and studied his legal texts with great assiduity. Then Sir Edward considered returning William for the close borough of Ennis, which before the 1832 Reform Bill was shared by the local O’Brien and Fitzgerald families. Though his father believed that law and politics combined well, William lost interest in the law and prepared for parliament by reading politics and political economy. Duly graduating in 1826, William participated in a wild celebration at Cambridge. When the revellers erupted into the town, O’Brien, too drunk to know what he was doing, assaulted a restraining university proctor. Fortunate to avoid serious punishment from the academic authorities, William was ordered home for the second time by his outraged parents. Sir Edward was now convinced that his second son lacked the temperament and industry to succeed at the bar. Sir Robert Peel—the passage by Home Secretary Peel and Prime Minister Wellington of ‘An Act for the Relief of His Majesty’s Roman Catholic Subjects’ in 1829 allowed Smith O’Brien in good conscience to support, as his father demanded, the now-embattled Peel. With nothing to do, William became frustrated and miserable. His engagement to the daughter of the wealthy earl of Kingston fell through when Sir Edward refused to pay a marriage settlement. The baronet also refused to finance a grand European tour for his errant son. William was, however, permitted to visit Dublin. There his life changed. He joined Daniel O’Connell’s Catholic Association. Sir Edward and other Protestants had long supported the right of Catholics to sit in parliament, but it was rare for a Protestant to join the Association. Though he attended no meetings, William’s action did him immense good in Ireland, especially in his home county of Clare. When a general election occurred in 1828, despite misgivings Sir Edward placed William in the borough of Ennis, while his elder brother Lucius was elected for County Clare. With a definite purpose in life, William threw himself into parliamentary work. His maiden speech on the recondite subject of paper money soon followed his arrival at Westminster. Though badly delivered, according to his own account, the speech earned William respect. As he explained in his autobiography, though confident in other ways, he found public speaking painful. Eventually, by sheer will-power he learned to address large audiences, but always kept notes to avoid lapses of memory. As the East India Company charter was up for renewal, William carefully researched the issue and produced a pamphlet on the subject. 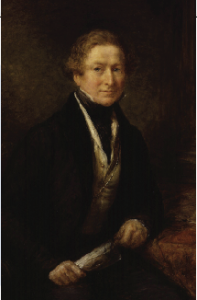 Impressed, Sir Robert Peel appointed him to the committee on the East India Company, a great honour for such an inexperienced politician. At last Sir Edward had something to make him proud of his son. Unfortunately, William, though generally supporting the Tories, sometimes voted against them. Sir Edward made it plain that he must vote for the government or resign his seat. What was William to do? The Catholic Emancipation issue now peaked. Sir Edward’s friend Vesey Fitzgerald, taking office in the Tory government of Peel and Wellington, was obliged to recontest his seat for Clare. A supporter of Catholic Emancipation, he joined a government opposed to the principle. The Catholic Association sought an opponent. William was invited but naturally refused. Finally, Daniel O’Connell himself took up the challenge and defeated the combined forces of the O’Briens and Fitzgeralds. William, in parliament, took no part in the campaign but claimed to have been one of the first parliamentarians to recognise that O’Connell’s election must be followed by Catholic Emancipation. The quarrel between the Dromoland O’Briens and O’Connell’s supporters continued to fester. William’s brother Lucius was defeated in the 1830 general election by O’Connell’s supporter The O’Gorman Mahon. William, organising the evidence, had Mahon unseated for electoral corruption. In the resultant by-election, Sir Edward himself stood but was no more successful than his son Lucius. Insults to Sir Edward from O’Gorman Mahon’s brother provoked William to fight another duel. He escaped his opponent’s pistol but not his mother’s fury at his unchristian conduct. He attempted to moderate his future rhetoric. By the 1830s parliamentary reform had become the leading issue at Westminster. Sitting for a nomination borough, William was in a weak position. Campaigning in Ireland, he missed one of the vital votes. He favoured reform in general but thought the Whig bill inconsistent and too radical. Some seats for good candidates unlikely to obtain votes should be retained. O’Brien deplored the Whig acceptance of the Tory refusal to allow an increase of Irish electorates according to existing population. 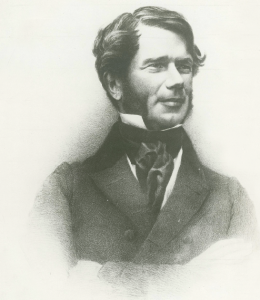 As Vesey Fitzgerald assumed the Ennis seat at the 1831 election, William, after a promising parliamentary start, found himself again without an occupation. He was saved from frustration by the Terry Alt outbreak of violence in Clare, caused by increased rents and anti-Catholic proselytisers. William’s autobiography shows sympathy with Terry objectives, but also the need for law and order. While other landlords fled to the cities and towns, William took the lead in fortifying Dromoland Castle and organising a defensive posse consisting of his brothers and loyal tenants. He persuaded his father to address the people in one of the Terry strongholds. Once he led a party of dragoons in pursuit of a group of insurgents. Outpacing his allies, with only a small pistol he confronted the Terries and put them to flight. When some of the ringleaders faced court, O’Brien did his duty as a fearless juryman, ensuring a number of transportation sentences. For a time he lived alone, unprotected and unmolested, in a cottage at Inchiquin, the centre of Terry Alt power. However ruthless against traitors and informers of their own class, he proved that the Terries accepted the gentry’s upholding of the existing law. As Ennis anticipated popular elections after the Reform Bill, O’Brien was encouraged to canvass. While making progress, he learned that to seek votes before an election was called made a candidate the slave of every demanding citizen or interest. At this point the narrative breaks off. It is possible that further autobiographical notebooks have been lost; more likely is the possibility that demoralisation and isolation eliminated the peace of mind required to view his own life in perspective. Richard Davis’s Travels of William Smith O’Brien in Europe and the wider world will be published later this year by Geography Publications. 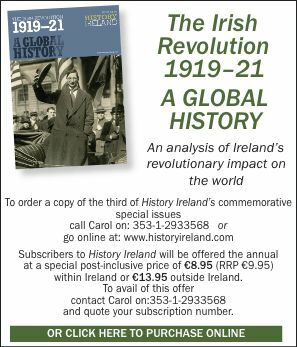 R. Davis, Revolutionary imperialist: William Smith O’Brien, 1803–1864 (Dublin, 1998). R. Davis & M. Davis (eds), The rebel in his family: selected papers of William Smith O’Brien (Cork, 1998). R. Davis, T. Jetson, M. Davis & S. Harriset (eds), ‘To solitude consigned’: the Tasmanian journal of William Smith O’Brien, 1849–1853 (Sydney, 1995). 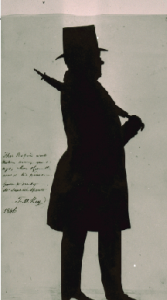 National Library of Ireland, William Smith O’Brien Papers, MS 46, 810/1–3.